A photo of Mia Amber Davis wearing seven Monif C dresses in various colours and posed in different, amazing ways. Mia Amber Davis sadly passed away this week and I wanted to take a moment to remember her fabulousness. Mia was a role model, actress, model and activist and loved by so many in the fatshion blogging community. A photo of a paper strip light fitting in front of a blackboard with chalk writing all over it. I love paper and I’m always trying to find new ways to use offcuts and scrap print outs. 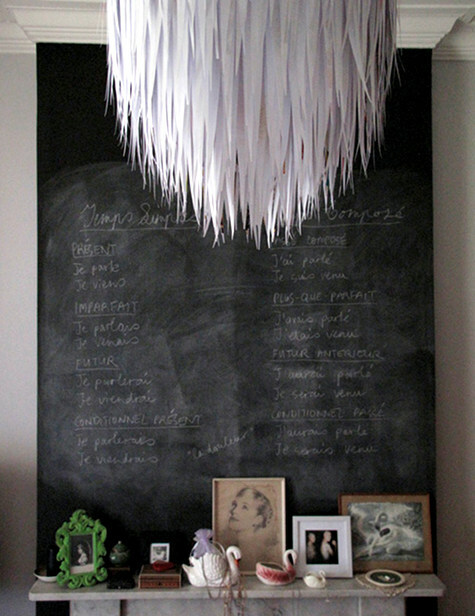 This DIY paper scrap lantern looks so good and I even have a big perspex ball I can cover on hand. Horah! 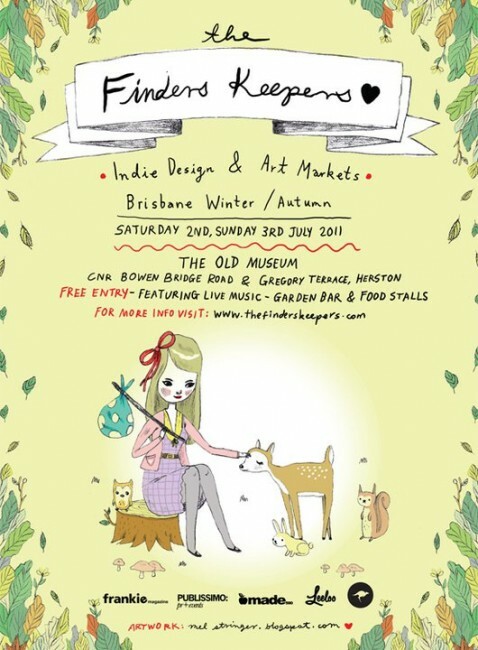 The poster for Finders Keepers Brisbane Winter/ Autumn 2011, illustrated by Mel Stringer. It has a girl and a deer on a yellow background with leaves bordering the poster. Mel Stringer, darling illustrator and person, has drawn the poster for Brisbane’s upcoming Finders Keepers market on July 3 at the Old Museum. 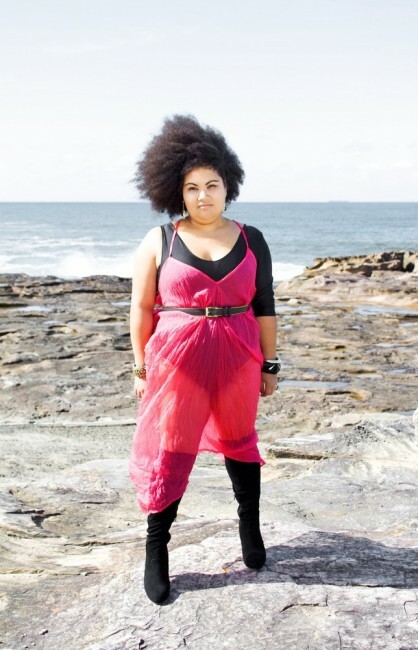 A full length photo of a brown skinned fat woman standing on rocks at the beach wearing a black top with one long sleeve under a sheer fuchsia sack dress with black boots. Ok, catch your breath fatshionistas… Gisela Ramirez is unleashing her gargantuan talent upon us all! Her debut collection of gorgeous gauzy garments (gratuitous alliteration time) is coming soon, with some items available for preorder in the very near future. Watch this space! 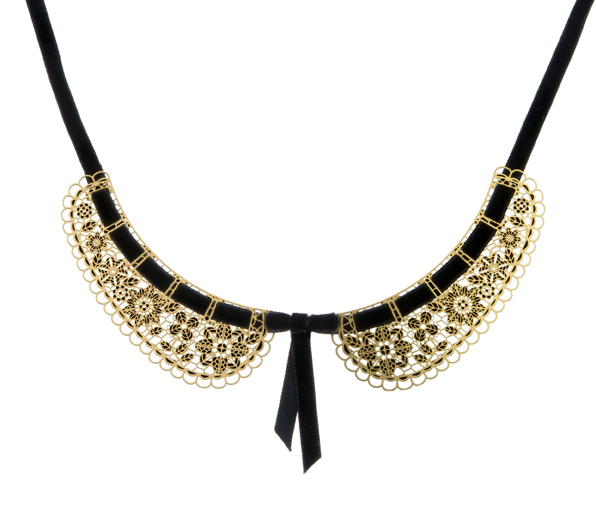 A gold and black lace looking stainless steel collar on black ribbon. 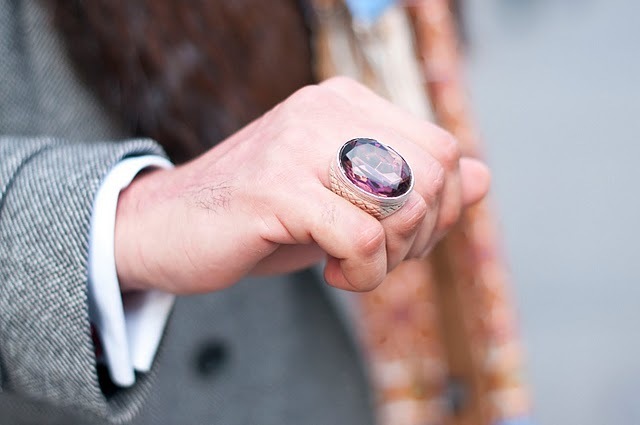 Let’s go browser window shopping!